Drake's Dresser is based out of Webster City, Iowa, but is reaching out across the United States and the World to every mother that has a child with a different body size and shape than every other child. Every mother I have talked to at one point or the other has had difficulty finding pants that fit because every child is unique and should not be sized according to age. Drake’s Dresser jeans and pants are created to fit according to their size, like adults are. Our jeans will be sold by the waist and inseam measurements. Drake's Dresser was created back in 2008 selling a variety of custom and personalized clothing. As I raised my child, Drake, though, I noticed he was always too skinny to fit the "normal" sizes for his age or any other age, for that matter. It was either buy to fit the length or waist. And that's where those adjustable waist straps came in handy, but even then the rest of the pants were too big because it was a size bigger so it could fit the length. In speaking to many parents and blogs, I found many, many parents are having the same problem. I did not go through with the creation of these jeans that fit, though, because of many road blocks at that time, so life continued. Now, as my son is much older, I am having the same problem, except the opposite, where he is actually a little too thick in the waist for his "normal" size for his age. He refuses to wear jeans because nothing fits! So that is why I decided to start these jeans that fit back up with the hopes of solving many parents' frustrations. Regular toddler pants come in standard sizes that only fit the child that is in the middle of slim or heafty and neither tall nor short. That leaves out a lot of children. Yes, many brands have the slims or heafty, but most the time those do not fit either. Drake’s Dresser understands that children, just like adults are all unique, so our pants are going to fit them by their unique measurements, by waist and inseam, and not by their age. 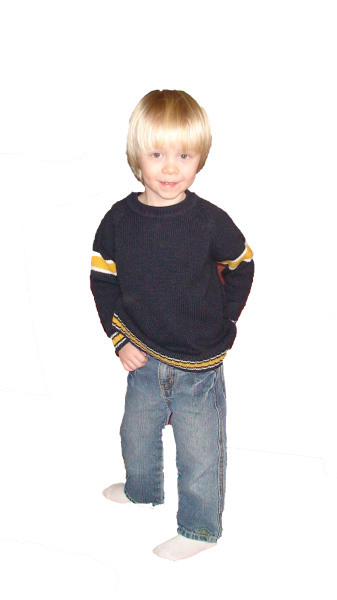 We will strive to fit all toddlers and eventually offer many styles and older children as well, so when parents finally find our pants, the ones that fit, they can stock up with different styles. We also will have the adjustable strap so that in case they need to adjust a small amount, they can. Drake's Dresser Pants that Fit are not currently in production but hope to be soon. If you are a retailer of children's clothes, either new or used, please contact us if you would like to be one of the first to carry our unique and much-needed pants. These Pants that Fit will also be available on our website, as no trying on will be needed, as long as you know their inseam and waist measurements.